Want beautiful brows that don’t wash off? 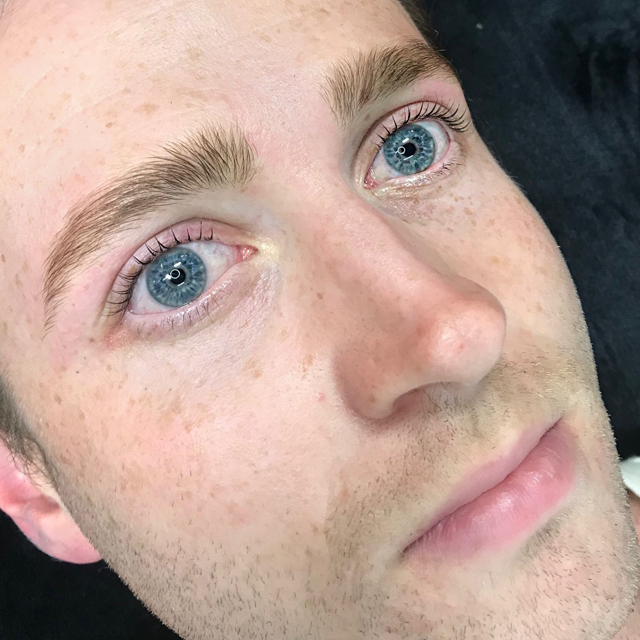 Cosmetic tattoo and microblade is becoming more and more popular these days, with new techniques meaning that you can tailor your brows like never before. So – what is the difference between cosmetic tattoo and microblade eyebrows, and how do we get our mitts on some stunning brows? And most importantly – does it hurt? We sat down with Monika, one of Sydney’s leading cosmetic tattooist/microblade artist, to find out how we can raise our brow game. Q: So, Monika, what makes a beautiful set of eyebrows? A: The secret to a good brow is to make sure it’s tailored to your face, and only yours. Everyone has a slightly different muscle and bone structure, which means that there is literally no brow that is the same. 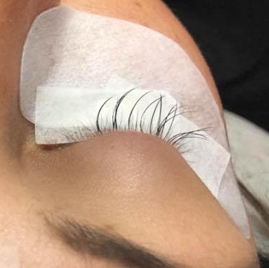 My clients want their brows tattooed for so many different reasons – some have over-plucked, some have scarring or are losing their hair, some just want a bit more definition…it’s so great that cosmetic tattoo is an option that people can get real and lasting results. When I’m working, I’m looking at creating more symmetry and youth in the face and brows – it’s amazing what can be achieved by a few little tweaks to an eyebrow’s shape or length! To create the perfect brow, I normally use the Phibrows Golden Ratio method – basically, I measure your facial angles using a specific formula to build the arch and find the most flattering points to begin and end the brow. This means that your brows are completely customised to your face, to enhance your beauty and give you a more youthful look. Q: What’s the process of cosmetic tattoo like? A: There are three different methods that I like to use, depending on my client’s skin type and the look that they’re wanting for their brows. Once we’ve had our consultation and I’ve sketched a shape that we’re both happy with, the real fun starts! The process works best when the client is lying down comfortably. I use either a handheld tool (for microblading) or a nice quiet machine (for powderfill) to outline each brow, then fill them in with strokes. Depending on the client, the whole process, including consultation, measuring and drawing, and the actual treatment, takes 2-2.5 hours – some clients like to pop in some headphones or some even like to chat! After the brows are filled in, I wipe some pigment solution over the brows so that the colour can settle in. And voila! Most people are done before they know it. One thing I always tell my clients is that the first treatment is like the first half of constructing your new brow. It will still look fabulous, and by tracking the healing we can see if anything needs correcting. The retouch appointment (usually about a month after your first) is the second half, where the colour is set properly, and any missed strokes can be corrected. It’s a two-part process, and I insist on this because trying to get the brows 100% on the first visit can lead to a brow which is too dark or thick – something no one ever wants! It allows me to add depth and dimension without the brows overpowering the face. Q: There are three different methods! What’s the difference? A: Microblading is the technique you’ve probably read the most about – this creates really fine hair strokes on the brow using a handheld tool and is crazy popular at the moment. Microblade is very flexible, so if you’re after a natural, ‘barely-there’ brow enhancement it could be your new best friend. It’s not as long lasting as traditional cosmetic tattoo – but it is amazing natural looking. Powderfill/shading is the next step up in definition, if you are looking for a more defined brow. This involves using a machine that places microscopic dots of pigment and gives you amazing shape. I also love using a bespoke combination of the two, which gives the brows a really nice texture and looks realistic. Q: Okay, so how do I know which method is for me? A: Don’t worry, you don’t have to choose if you don’t want to! During our consultation, I do a skin analysis to determine whether powderfill, microblading or a combination of the two (I call it ombré) will be best for you – some techniques last better on certain skin types, and we want you to be showing off your brows for as long as possible! For example, I wouldn’t recommend going ahead with a really light microblade option if you have very oily skin. This type of skin would be more suited to powderfill, as the technique tends to use more pigment to create a more defined brow and microblade may not last well in oily skin. I always tell people not be afraid of powderfill – it’s definitely not the same as the old-style block tattoos of the 1980’s – pigments and techniques have come a very long way since then! Q: How long does microblade or cosmetic tattoo last? A: That depends on a lot of factors, including skincare and sun exposure (facial sunscreen always, people! ), but we’d usually look at booking in a retouch at 8-18 months for microblading and 12 months to two+ years for powderfill. No more committing to just the one brow shape for the next twenty years! The lighter the colour, the faster it fades – so I try to choose something that will suit your colouring, but last well. The more mature your skin, the longer it lasts also – so there’s a plus side to ageing! Skin that is more mature won’t renew itself so quickly, so the tattoo will generally last longer. In this day and age a good tattooist won’t touch body art tattoo ink – we mix our own combinations of specially made pigments for a custom colour, which gradually fades from the skin without leaving any unsightly blue or greenish undertones. Q: Give it to me straight – how much will it hurt? A: Honestly, it’s different for everyone and most people say it’s a lot less painful than they expected! I’d say the tougher part would generally be the first ten minutes, when I’m outlining – most clients say that it feels like an annoying scratch or a bout of carpet burn. However, I do allow clients to apply EMLA numbing cream before the session and it really helps manage any discomfort – after that first period, your brow area is numbed effectively, and you can just feel a light pressure. Many of my clients do actually fall asleep in the process! – so it’s not that bad at all! (many compare it to waxing or laser or the legs). I talk to you constantly through the appointment and you can always let me know if it’s becoming painful and I will use techniques to manage that. Q: How did you get into cosmetic tattooing and what are your qualifications? A: My journey didn’t start in Australia – I actually started in London working as a freelance makeup artist for Burberry when I had the opportunity to join Annette Power’s permanent makeup college in Harley Street. I completed my Micropigmentation training (brows, lips and eyes) in 2011 – this was a very detailed month-long course which had a large practical component. The precision of tattoo really appeals to me as a perfectionist; I have been aiming for the perfect brows on myself since I would draw! After a few more years in Europe, I could feel the beaches of Australia calling me and I permanently relocated here. In 2016, I completed further education again in Microblading and Ombre Brows with Deluxe Brows one of the pioneers of the industry, then Ombre Lips and Eyebrows in 2017 by A.C.T. 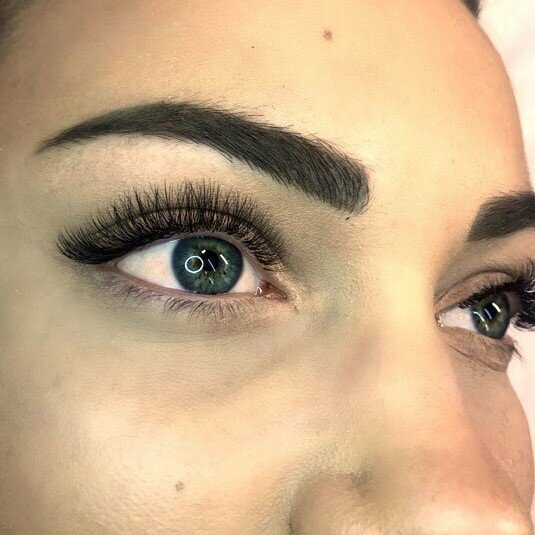 More recently (2017-2019), I have done several courses with Phibrows, including specialised technique training with their masters (Microblading, Phi Shading and Bold brows) including perfection training with their masters – education is key, and there’s never been a better time for cosmetic tattoo! I have now been working as a brow artist for over 8 years – and it’s be most rewarding job I have done. Q: I’m nervous about trying tattoo. 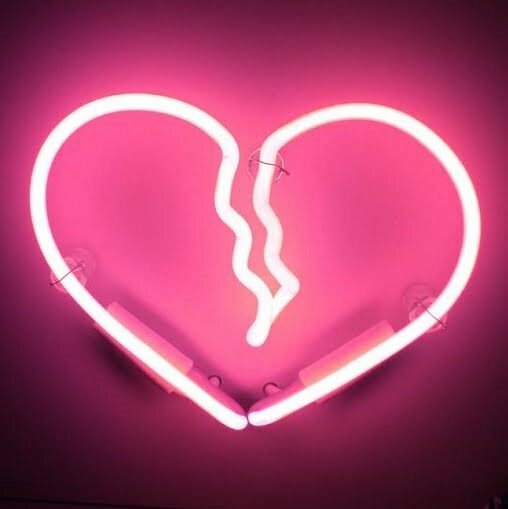 Is there any way I can get a similar, more temporary effect without taking the plunge? A: You sure can! A good way to dip your toe in would be to try henna brows – the natural pigment stains the skin for about a week, so you can get used to showing off a darker and more defined brow without the commitment. If you’re stressing about brows and ever need to chat, I’m happy to give any advice or you can chat to our receptionists at Brow Game. They’re all super knowledgeable about cosmetic tattoo and love talking all things brows. 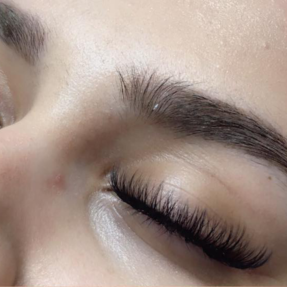 Most of the staff here at Brow Game and Lady Lash have had their brows done by either myself or Charlotte, our other tattooist – so you can have a look up close at what it looks like when it’s healed! Q: What do you see for the future of cosmetic tattoo and microblade? Is it a trend? I think it’s here to stay! Nice, filled out even eyebrows are a sign of youth and beauty. I think due to past brow trends of over-plucking, but also the fact that ageing and a multitude of health conditions can cause brows to thin out a lot, that there is a need for this service. 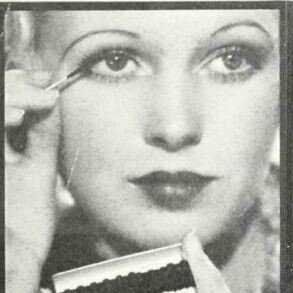 Sometimes men will say things like “I don’t know why women don’t just leave their brows alone – then they wouldn’t need this!” – this isn’t really true. Plenty of people just aren’t ‘born with it!’ and want to have beautiful brows. Thin/spare brow looks like brow bleaching and very high thin arches seem to be trends that come and go intermittently – as they are highly unflattering on most people! My concern for the industry however, is that there are operators out there doing 1 or 2-day microblade courses, with very, very basic training in health and hygiene, or skin types, and then offering the service to clients straight away. This can end in very bad results and give the treatment a bad name. I think the standard of training needs to be improved – every week I see photos of mis-shapen, uneven, badly coloured tattooed brows that prospective clients are hoping to have ‘fixed’ – and without laser removal sessions, there’s nothing I can to do improve the situation straight away. I have been doing this for over 8 years now, and was very lucky to have some good mentors along the way- and I wouldn’t call myself ‘finished’ with my education at all. Things change, technology improves, and it’s good to keep up with the industry to be able to offer your clients the very best service you can.